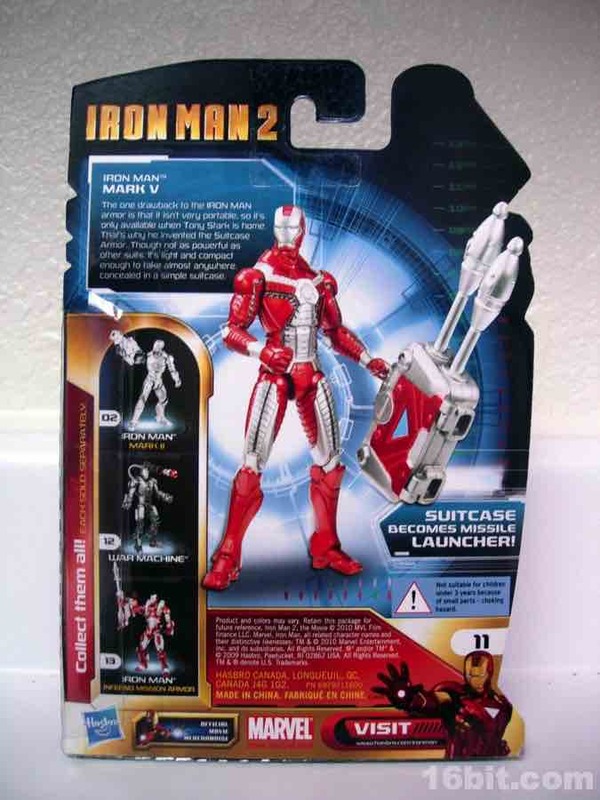 The briefcase armor from Iron Man 2 was one of the most talked about elements of the film before the movie came out, so it only makes sense that Hasbro would capitalize on it with the Iron Man Mark V action figure. 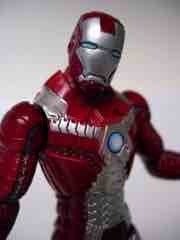 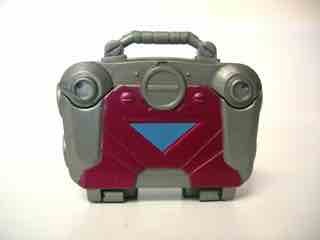 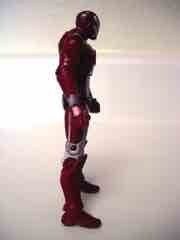 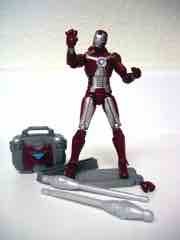 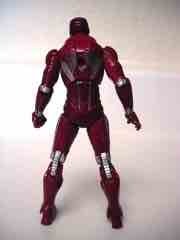 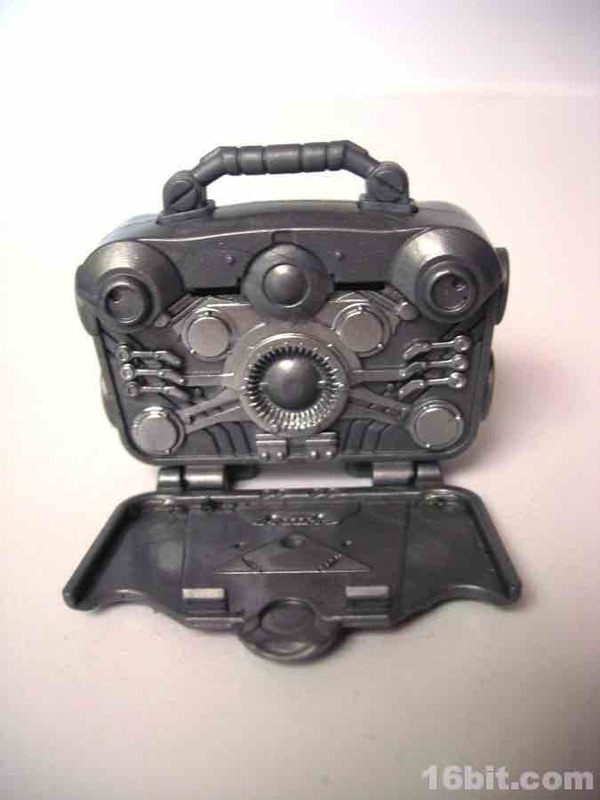 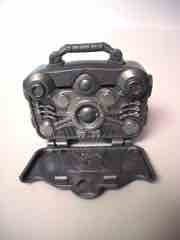 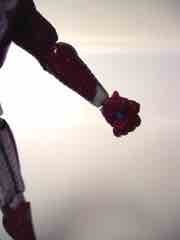 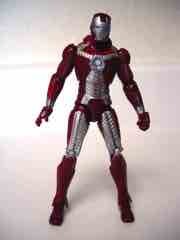 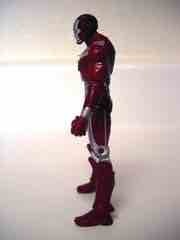 Iron Man is not only wearing the armor from the movie-- or a version of it, as the movie wasn't finished when this toy was made-- but he includes a separate briefcase accessory that you could theoretically give to Tony Stark were Hasbro inclined to make a normal version of the character, minus the armor. 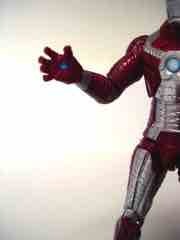 As a toy, the figure holds up fairly well. He can stand, be posed in some sort of a quasi-combat pose, and he has an extra hand you can swap out to change from a fist to an opened hand which can carry an accessory-- a nice touch. However, the hands feel a little big, almost too big for the figure in the sense that they feel a little large where the wrist meets the arm. The figure's level of articulation is the same as most Iron Man figures, which is to say, about 18 joints depending on how you feel like counting them. I have to admit, I do enjoy the wacky briefcase accessory. 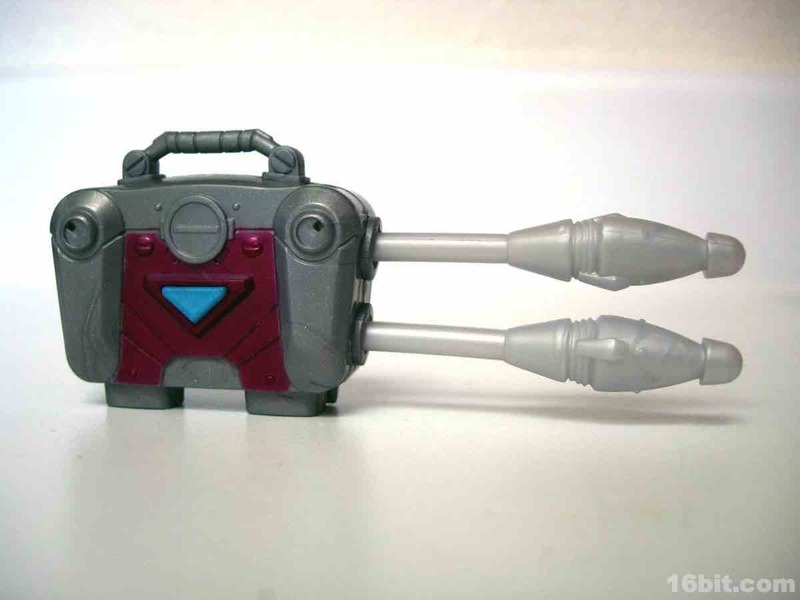 You can fire rockets out the side of it, and it opens-- that's a win-win, easily. Sure it's a little weird but frankly, I don't have enough briefcases that can knock over my other toys with a touch of a button. 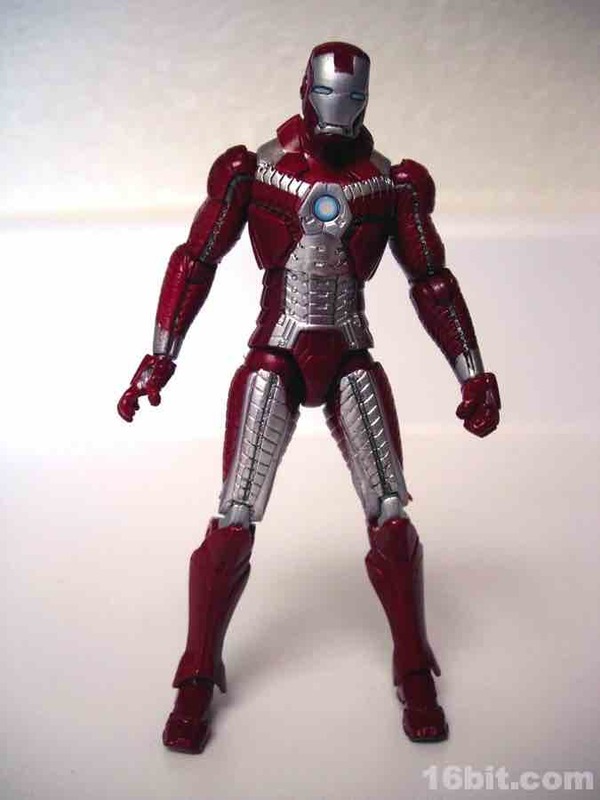 It even opens to reveal some armor detailing inside, making it an above-par accessory for the Iron Man 2 action figure line. 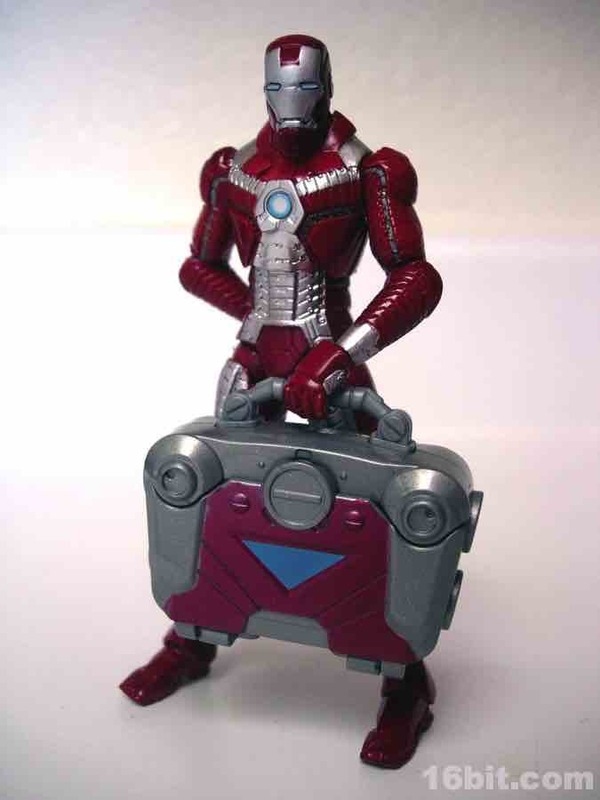 After all, most figures come with a stand, a clear energy blast, and a stack of cards. This is way more fun. 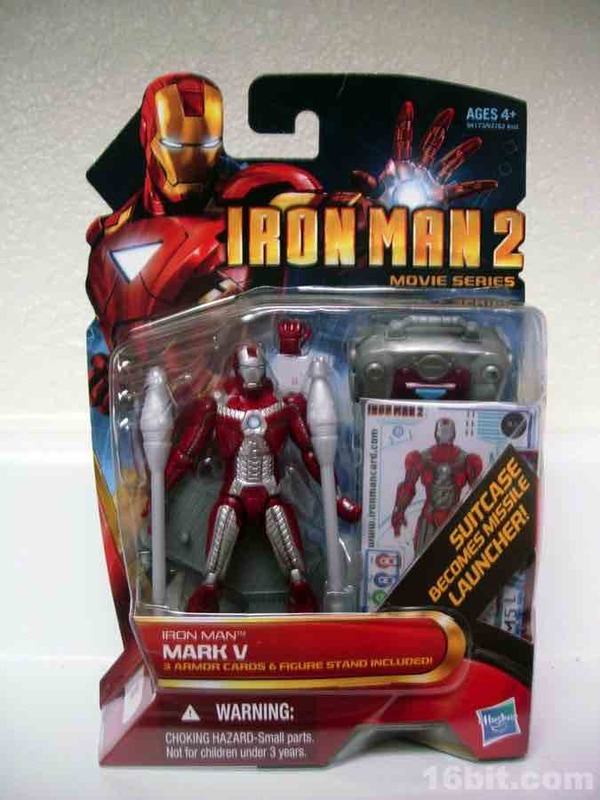 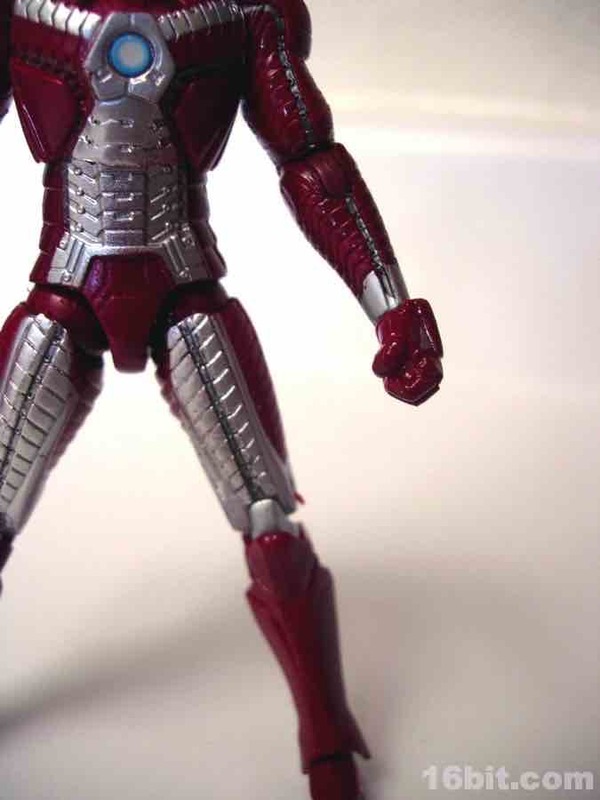 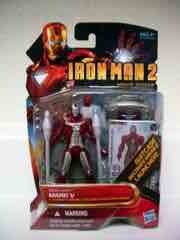 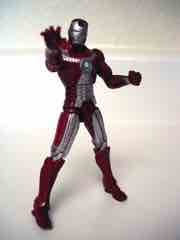 This mold was used to make a few other figures, including a slightly different version of the Mark V which was sold in a Target-exclusive 3-pack. A redeco of this figure came out in the new-style packaging earlier this year, although it seems that the wave is not making it out to retail stores particularly quickly-- the same can be said of the last few waves of this scale of Iron Man action figures.